Thank you for taking the time to read about my company. I am very proud of what we have built up over the years and enjoy talking about the benefits that Simply Extensions & Lofts (SEL) can offer you. 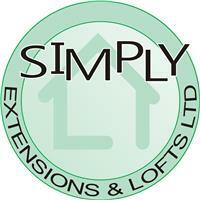 You will notice from our reviews, we only undertake extensions, lofts & refurbishments. These types of projects are what we have been doing for years and looking at our high review rate, our customers agree. Our 12 plus year history with CheckaTrade is proof that we have consistently built quality products. We only get better as we go, so if you are looking for advice, planning or an estimate, you are in very good hands. Already have drawings, we generally get a quote back to you within 24 hours. Give us a try! Speak with current clients and get real feedback about our service and quality. This is the most transparent way to demonstrate a good client/builder relationship and it is honest and genuine. This open approach, with nothing to hide, should help you make an informed decision when appointing a builder. Furthermore, we provide full project management, so you don't have to worry about the more mundane aspects of your project. You will find yourself enjoying the process and ultimately sing our praises to future clients.